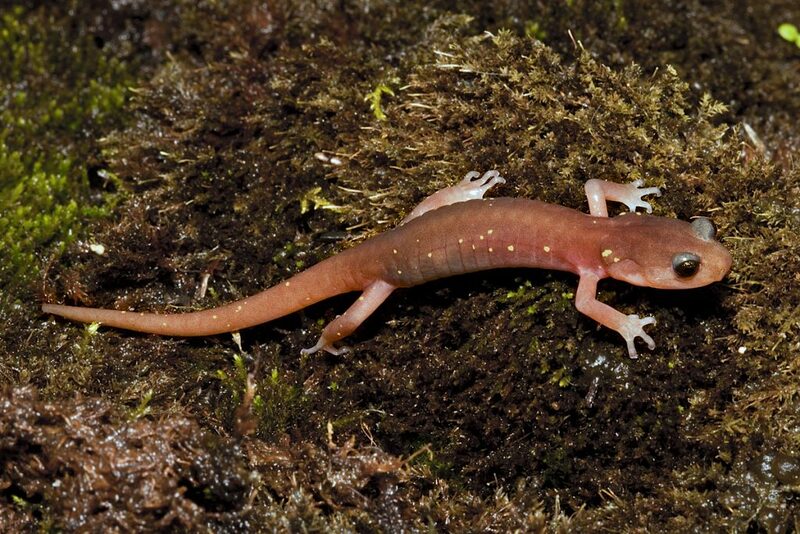 Home Amphibian News Will trade bans stop a deadly salamander plague from invading the US? In 2008, scientists started noticing that populations of fire salamanders were disappearing in Western Europe. A few years later, nearly all had vanished from large portions of Germany, Belgium and the Netherlands. The culprit turned out to be a fungus called Batrachochytrium salamandrivorans, or Bsal, which infects the skin of salamanders and often kills them. Research indicates Bsal came from Asia and was spread to Europe via the importation of Asian salamanders. The U.S. is home to the world’s highest diversity of salamander species, many of which are thought to be susceptible to Bsal infection. So far, scientists haven’t detected the pathogen in North America, but many believe it’s just a matter of time until it gets here unless drastic action is taken. In response, the U.S. Fish and Wildlife Service imposed a ban on the trade of 201 salamander species in 2016. 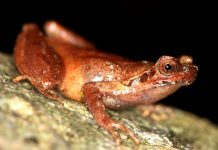 However, the recent discovery that frogs can also carry Bsal has led to an outcry from scientists urging the government to ban the import of all salamander and frog species. However, many hobbyists think a total ban is overkill. They instead favor a “clean trade” in which some imported animals would tested for Bsal. If it happens, it’ll likely go something like this: American parents decide to buy something special for their child’s birthday – a pet salamander. Although immediately excited, the child quickly loses interest and the salamander languishes. The parents tire just as rapidly. One night, they let it loose outside, telling their child it escaped. 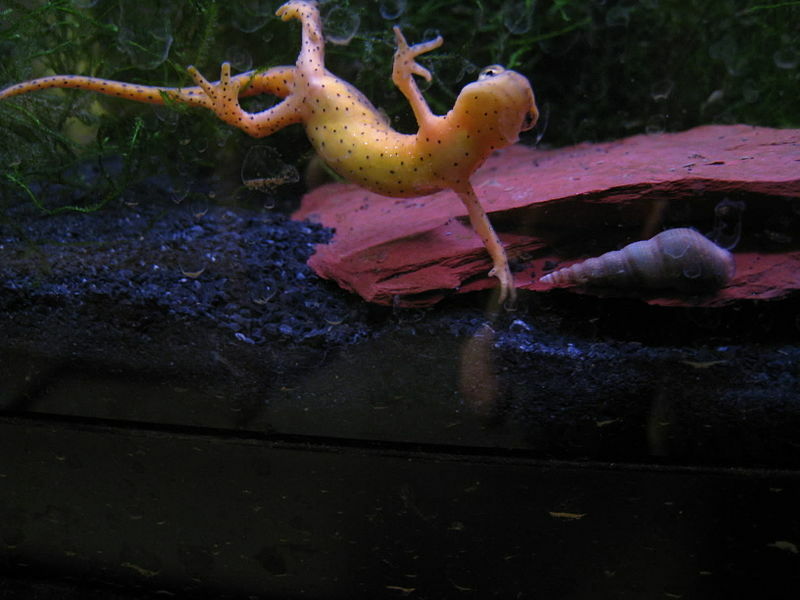 The salamander, little-prepared for the world beyond the terrarium, quickly perishes. But it leaves something behind: spores of the deadly Batrachochytrium salamandrivorans (Bsal) fungus. A decade later, salamander species in the U.S. are in crisis; populations are plummeting as the fungus spreads, some species are believed totally gone. Extinction is marching across the land. In an effort to stem this eco-tragedy, the U.S. Fish and Wildlife Service (USFWS) published a rule in January 2016 that banned 201 species of salamander from being imported into the U.S. under the Lacey Act. But now some scientists — given new information about the spread of Bsal and its potential carriers — say this ban doesn’t go nearly far enough. “This deadly disease has the potential to wipe out entire species. More needs to be done to protect salamanders and other wildlife from international trade,” says Tiffany Yap, a staff scientist at the Center for Biological Diversity (CBD) who specializes in amphibian disease. She calls the USFWS listing “momentous” but no longer up to speed with current scientific findings. Others, including some herp (reptile and amphibian) hobbyists believe the USFWS rule may go too far and a different approach is necessary. In 2008, scientists started noticing populations of fire salamanders (Salamandra salamandra) were vanishing from the wild in Western Europe. Five years later they were able to officially describe the culprit, until then unknown to science: Bsal — a fungal disease that literally eats the skin off salamanders. 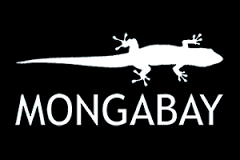 Closely related to Batrachochytrium dendrobatidis (Bd), which scientists have implicated in hundreds of declines and at least a few extinctions in frog species worldwide, Bsal appears to only affect salamanders. Where it has hit — in parts of the Netherlands, Belgium, Germany — the fungus has wiped out up to 99.9 percent of fire salamanders. Physical signs and symptoms from Batrachochytrium salamandrivorans (Bsal) infection: a) A naturally infected fire salamander (Salamandra salamandra) found during a Bsal outbreak in Belgium showing several ulcers (white arrows) and excessive skin shedding; b) extensive ulceration (white arrows) on the belly of an infected fire salamander; c) skin section through an ulcer shows abundant fungal colonies inside the cells; d) further magnification of infected skin cells. Image from Pascale van Rooij et al., 2015, via Wikimedia Commons (CC BY 4.0). Researchers believe the European outbreak is directly connected to the international pet trade. Scientists point to an animal that was imported in 2010 that three years later tested positive for Bsal as at least indirect evidence that the first Bsal in Europe likely arrived via the pet trade. Research indicates Bsal stems from Asia, and salamander species there have evolved resistance to the disease after millions of years of co-evolution. European species have not — and lab studies have shown that many U.S. species are also vulnerable. Scientists now fear the same fungal outbreak could wipe out salamanders across the U.S. — if it arrives and gains a foothold. 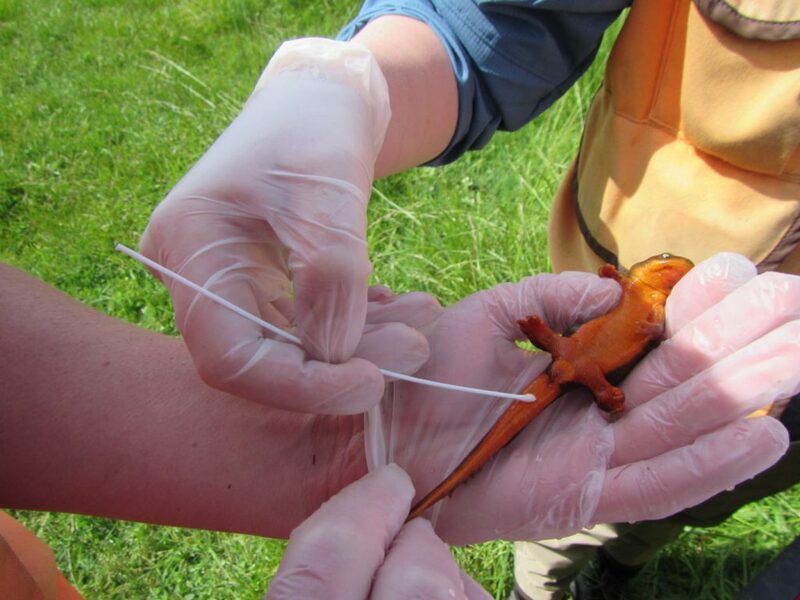 A recent effort, testing 10,000 salamanders across the U.S., fortunately found no evidence of Bsal, but it would only take one animal under a worst-case-scenario to change that. The debate over Bsal isn’t a debate over the science; it’s not a debate over how threatening the fungal disease might be for North America’s salamander species — everyone agrees that it could have a very destructive impact. PIJAC is the world’s largest pet trade association, lobbying for pet-favorable laws across the U.S. The debate is really to what extent we should go to prevent it from happening and what’s the best strategy. It’s a debate about the legalities around pet ownership and the strength and effectiveness of various regulations. When the USFWS banned 201 salamander species – about a third of all species – from being imported into the U.S., it was largely seen by scientists as a much-needed measure to do our utmost to prevent Bsal from getting onto North American shores. They did this by listing these species as “injurious wildlife” under the Lacey Act, a conservation law that regulates the trade in animals or plants. Salamanders are strange. They’re strange not just because they can breathe through their skin, or because they can regenerate long limbs, or because they have a super long genome. Salamanders are biological oddities because they are found in their greatest diversity not in the rainforests of the Amazon or the tropics of Southeast Asia, but in the deciduous, temperate, and subtropical forests of the eastern U.S. Unlike trees, beetles, birds, frogs or most terrestrial family you can think of, the salamander doesn’t really prefer the tropics. Indeed, of the 600-700 species found worldwide, around 25 percent of them are found in the U.S. The U.S. includes representatives from all families of salamanders with the exception of one – Hynobiidae, or primitive Asian salamanders. The U.S. hosts a particularly large number of species that belong to Plethodontidae, a family that scientists think is one of the most susceptible to Bsal. Comprising nearly 400 species, Plethodontidae is by far the largest family of salamanders. Plethodontids, also called lungless salamanders, breathe through their skin, tend to be on the smaller side, and are found in a wide variety of habitats. Most species, like this tree-climbing arboreal salamander (Aneides lugubris), are found in North America; scientists believe the first plethodontids evolved in the eastern U.S. 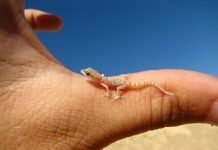 But a year before the ruling, two conservation groups, the CBD and SAVE THE FROGS! actually petitioned the USFWS to go much further: ban all live salamander imports, regardless of species. Scientists have since discovered that a new Bsal fungal spore can survive for up to 30 days in the water or air and may even survive on the feet of water birds, potentially traveling from waterway to waterway with ease. “These discoveries help to explain how Bsal can spread across landscapes and suggest that it will be extremely difficult to eradicate it since non-susceptible species act as reservoir species,” reads a letter to the USFWS from a dozen experts about expanding the ban to all salamanders and frogs. Last year, news hit that changed the debate even further. Researchers discovered Bsalin a frog species in the pet trade in Germany. Testing 36 small-webbed fire-bellied toads (Bombina microdeladigitora) imported from Vietnam to Germany, researchers found that three of them tested positive for Bsal. This is a major deal because it means some frog species — no one knows how many — could also potentially carry Bsal to the North America. “Now that we know frogs are potential vectors, the strongest action would be to ban all salamander and frog imports,” Yap said. In their letter, the dozen experts also argue for a total ban on all amphibians, frogs and salamanders. “Until proven otherwise, the precautionary principle suggests that all amphibian species should be considered carriers,” Harris said. PIJAC’s Likins did not say specifically if they would support an expanded ban. The eastern newt (Notophthalmus viridescens) is a widespread, abundant species native to the U.S., and one that is often sold as a pet. Studies indicate that it is also likely highly susceptible to Bsal infection and mortality. Image by Michael McConville via Wikimedia Commons (CC BY 4.0). However, not all hobbyists agree. Chris Smith, the Conservation Committee Chair for the Minnesota Herpetological Society, says that his group’s 300-plus members have a very “diverse mix of opinions on regulations surrounding herpetofauna.” But in general the group supports “efforts to conserve and protect amphibians and reptiles,” including efforts to keep Bsal out. The USFWS was unwilling to comment directly on the question of increasing the moratorium to cover all salamanders and frogs, but instead focused on the current ruling. Craig Martin, USFWS Chief of the Branch of Aquatic Invasive Species, said the organization is now reviewing both “peer and public comments” in order to move from the interim rule, put in place in 2016, to a final one. He adds that the “interim rule has no sunset clause.” In other words, at this point the ban on 201 salamander species could be indefinite. When asked to comment on the new regulations and the debate, Petco, North America’s second largest pet store, said they don’t sell salamanders or newts. However, they do sell several frog species including the oriental fire-bellied toad (Bombina orientalis), which is in the same genus as the fire-bellied toads that were found to harbor Bsal in Germany. “Impacts of Bsal for our breeders is a concern and our breeders have done testing to ensure they are not impacted,” said Jonathan Williamson, vice president of animal care and education at Petco. 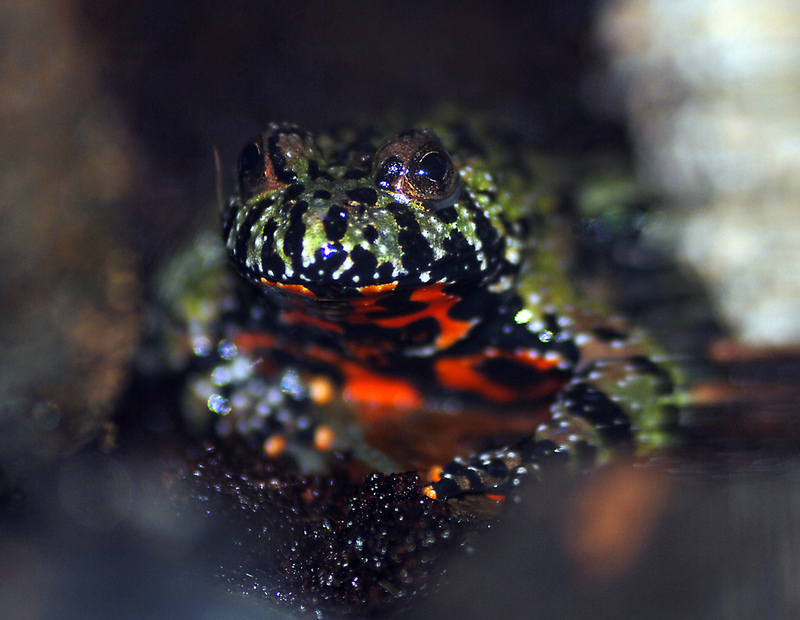 Oriental fire-bellied toads (Bombina orientalis) are commonly sold in the U.S. Image by Chris Paul via Wikimedia Commons (CC BY 2.0). Where scientists and hobbyists appear to agree is that the best thing going forward would be quickly establishing a so-called “clean trade.” What that means is every single amphibian — salamander or frog — would be tested before being allowed into the U.S. If the animal was found to be infected it would then be treated. Both Harris and Yap say a clean trade would be the optimal solution. This may sound onerous, but Europe has already implemented one. Every animal coming into the continent is now tested via PCR, a molecular test using skin swab. Others, depending on the numbers incoming, are treated by simply turning the heat up on the amphibians to 25 Celsius (77 Fahrenheit) for ten days — which wipes out the fungal spores. 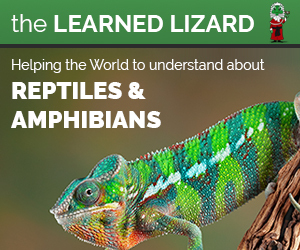 “Europeans are light years ahead of us in the exotic reptile and amphibian hobby so it’s no surprise they’ve already worked this through,” Schatzl said. Likins with PIJAC says that “testing high risk species for high risk diseases makes sense, testing everything for everything does not.” He also notes that many amphibians in the U.S. are domestically bred and contests “there is no danger” that they will have Bsal. Schatzel agrees. 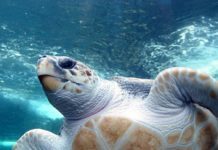 “Captive ancillary breeding populations of these animals are the only assurance against extinction in a world where money always trumps wildlife,” he said. An Martel, a researcher at Ghent University specializing in Bsal, says that even Europe should go further by testing all captive populations across the continent, no matter when they arrived. “The best way to prevent a disease in a pet from affecting wild populations is to ensure that pets are not released into the wild,” says Likins who notes that his organization has an effort called Habitude that helps people find the best pet for their lifestyle, hopefully decreasing the likelihood of people releasing pets into the wild. 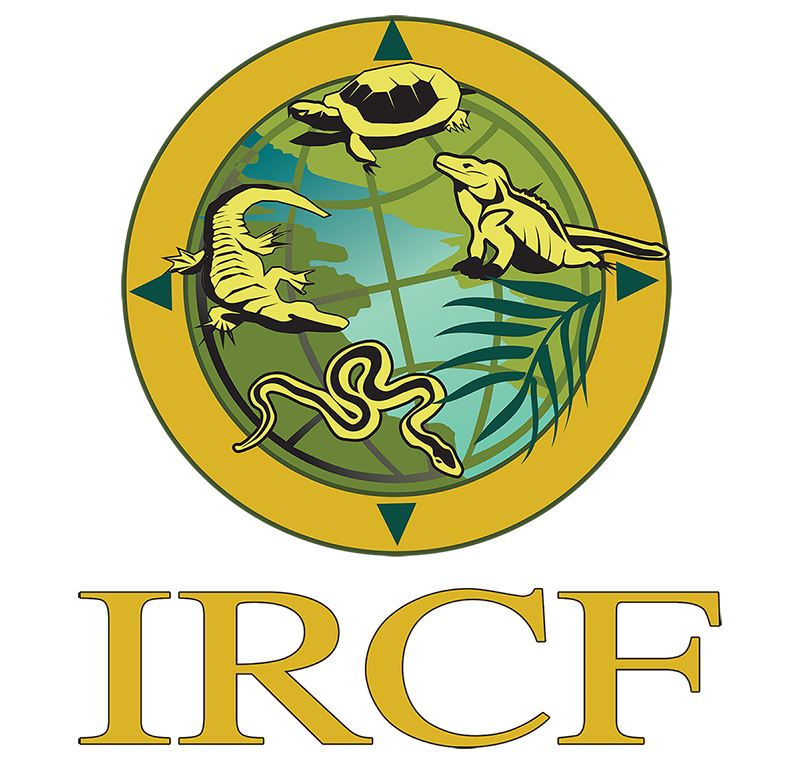 The Minnesota Herpetological Society, like many herpetological groups, is a “resource” for any unwanted reptiles or amphibians, according to Smith. Of course, it’s impossible to make sure every pet owner does the right thing. And even if it were, things go wrong, pets escape. Even throwing water from a salamander or frog cage outside could be perilous because that water could contain Bsal spores. Moreover, even the best trade laws can’t ensure complete security from Bsal. Illegal trade remains a “concern,” says Reid Harris. Illegal, or unregulated trade, for pets poses a major issue and threat to many species, according to recent research. “Education…should help reduce illegal trade since no one who is interested in pet salamanders and frogs wants to be the one to introduce Bsal and cause a salamander apocalypse,” Harris noted. Banner image: A Shenandoah salamander (Plethodon shenandoah), a U.S. species researchers think is susceptible to Bsal infection. Image by Brian Gratwicke via Wikimedia Commons (CC BY 2.0).